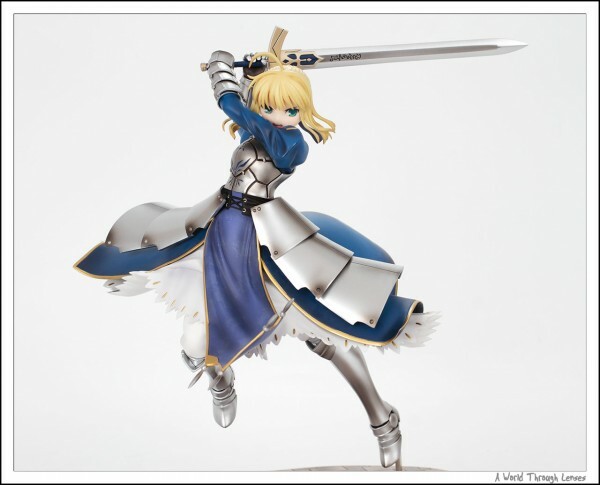 Believe it or not, as much as I am a Saber fan, I actually only own a single Saber figure in her standard armour – Clayz 1/6 Saber. 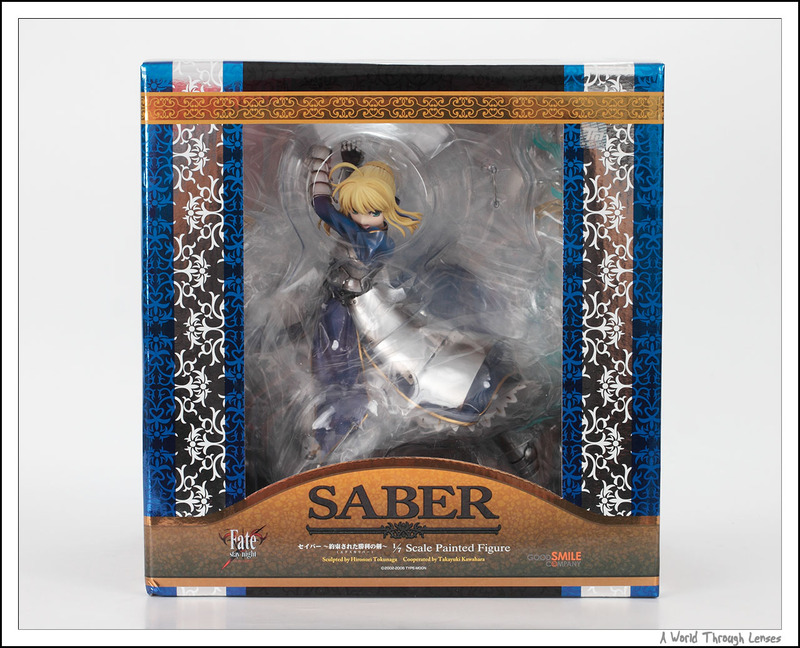 The Clayz figure is a really old figure released back in 2005 and not particular the best Saber sculpture that was done. With a movie version of Fate/stay night anime announced, Good Smile Company soon announced a new 1/7 scaled Saber PVC in her armour. 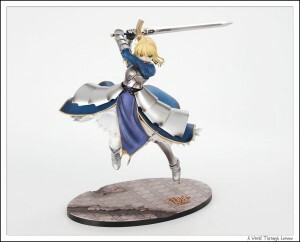 And that is Saber ~Triumphant Excalibur~. 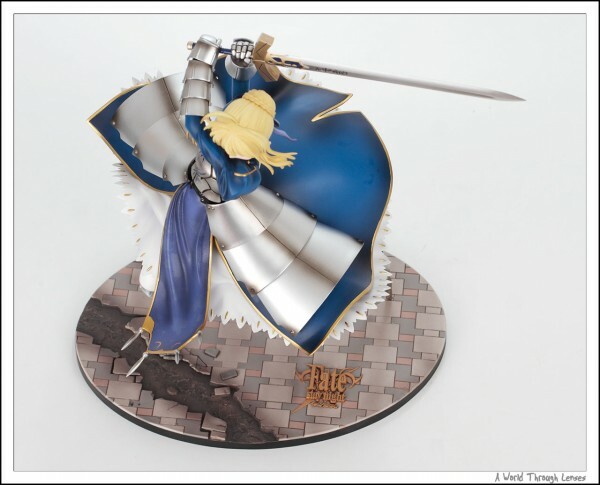 The figure is supposed to be released in July 2010, but it was delayed month after month. 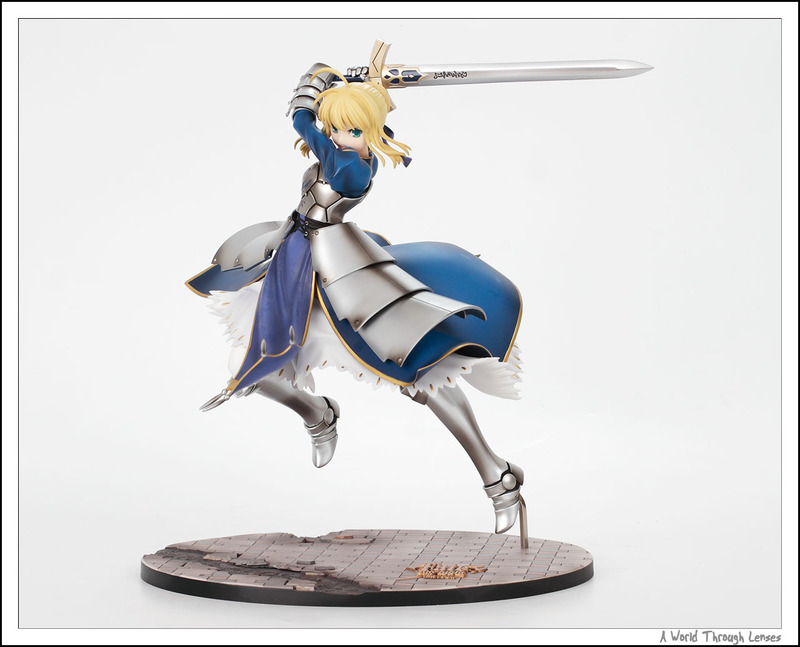 Finally it is is scheduled to be released on September 2010. 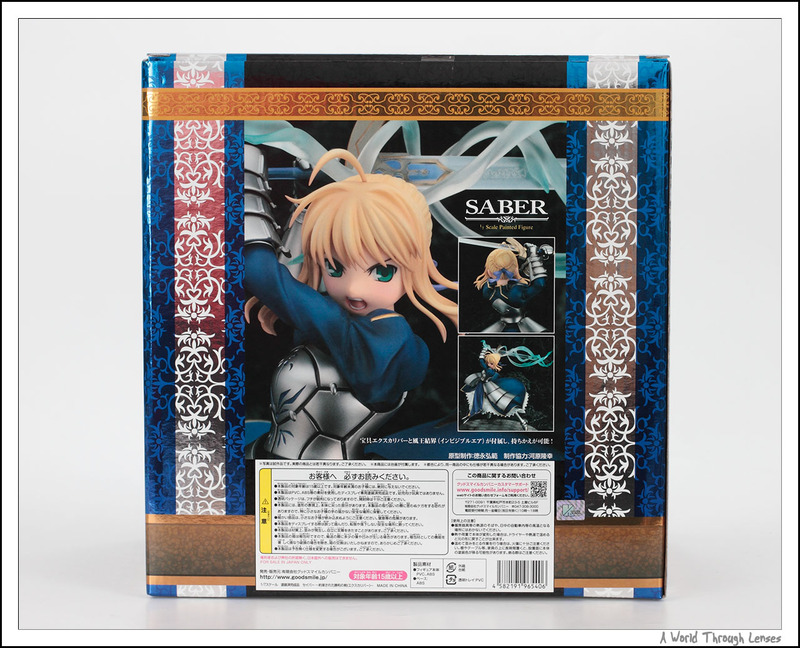 Fate/stay night Unlimited Blade Works was released on Blu-ray and DVD on September 30, 2010. 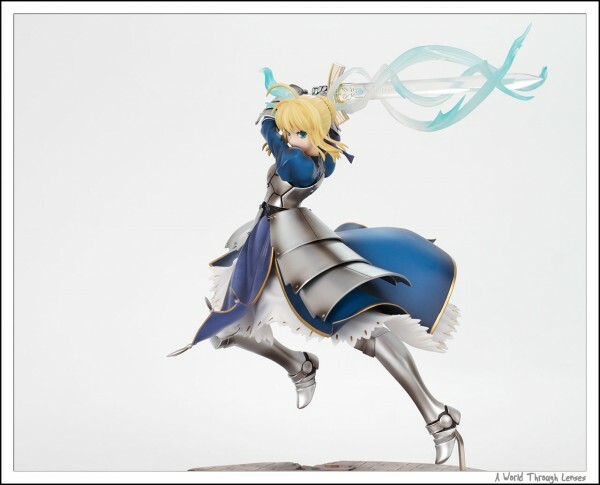 And soon after, there comes my new Fate/stay night Saber figure. Saber ~Triumphant Excalibur~ 1/7 PVC by Good Smile Comopany (セイバー ～約束された勝利の剣(エクスカリバー)～). Original sculptor Tokunaga Hironori(徳永弘範). 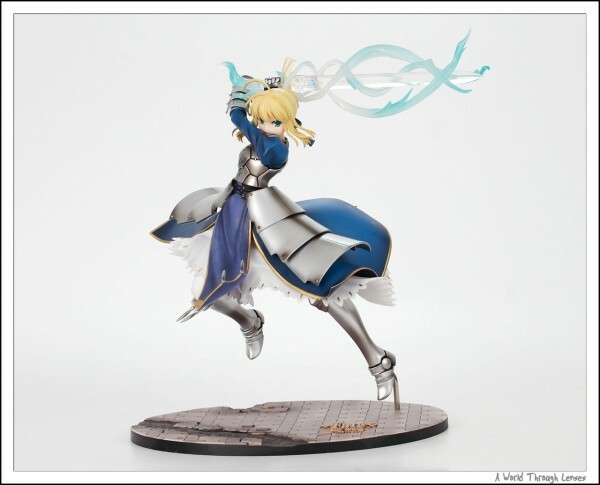 Released on September 2010 with an MSRP of ¥9,800. 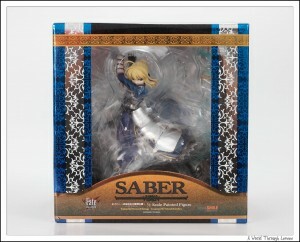 Here’s Saber out of the box holding the sword Excalibur. The foot support is made of metal, and the foot itself feels like is made of ABS. So hopefully there’s no leaning problem in the long term. Here’s what it looks like from the top, giving you a good view of the base and the Fate/stay night logo on the base. Back and front showing off her clothes flowing in the air. It is really nice piece of sculpture. A close up of Saber. The face is very nicely done. And a closer look at the fabric in front of her, it is actually not a flat paint, it is textured. Zooming out just a little showing you the dynamic striking pose. 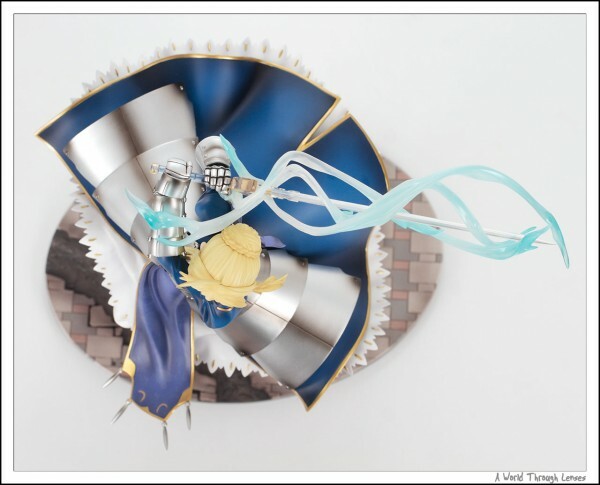 Comes also with Invisible Air – The Bounded Field of the Wind King (風王結界). 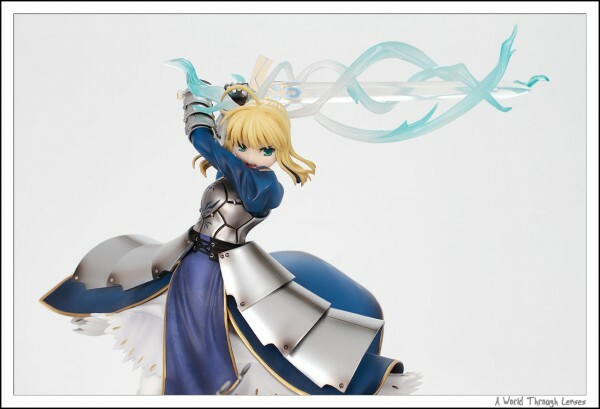 The transparent blade is made by translucent plastic giving it a very nice effect. 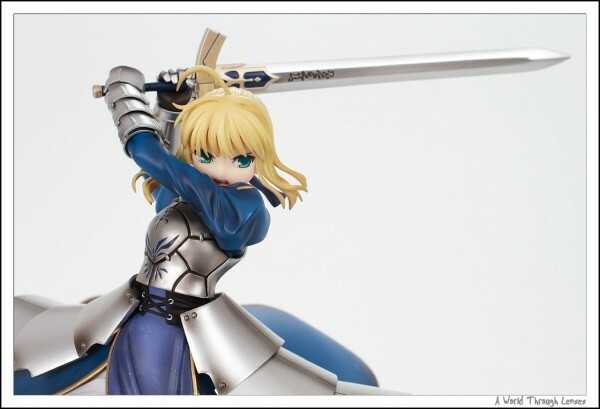 A little closeup of the Saber holding the Invisible Air. 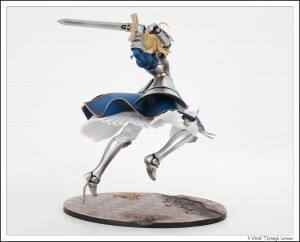 A side view of the striking pose. Here’s what it looks like from the top with Saber holding the Invisible Air. Unfortunately I can’t find a good illustration of Saber holding Excalibur. 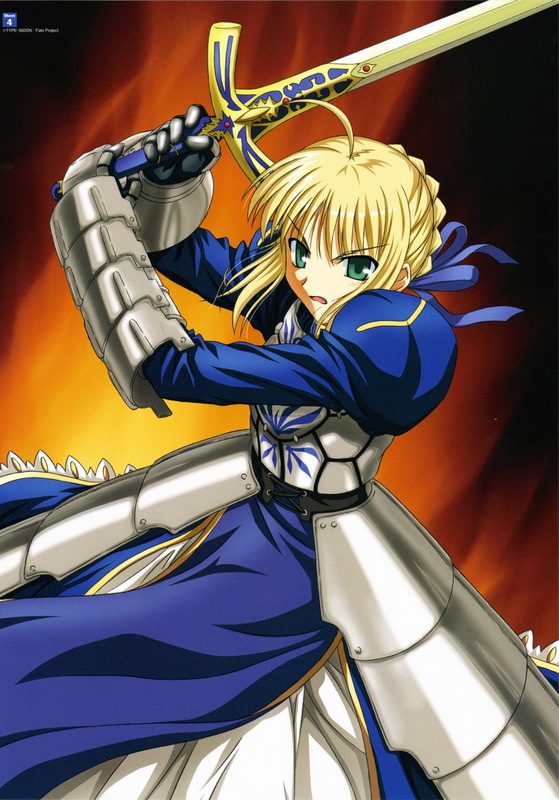 So here’s a 2D illustration of Saber holding Caliburn.